With murder, conspiracy and some fairly steamy bedroom scenes (and that’s just the first episode), it’s fair to say that racy period drama Versailles is not one for the faint-hearted. Thankfully, if you want to learn about life at the royal court in a rather more genteel sort of a way then a visit to this magnificent palace could be just the ticket (as long as you avoid peak times, that is, and be sure to buy said ticket in advance…). Located an easy train ride out of Paris, with pretty views across the Seine along the way, a short stroll on foot from the station brings you out at the palace itself. And what a sight it is as you catch a glimpse of those recently-reinstated gilded gates, complete with their 100,000 golden leaves, sparkling in the sunshine – while beyond lies what looks like an entire town. In actual fact, that isn’t too far from the truth – back in its heyday, this sprawling citadel could host some 4,000 residents in all. It’s hard to imagine then that just a short time before this, all that was found here was a humble hunting lodge, built by Louis XIII in 1623. It was only when his son, Louis XIV, came on the scene that the ambitious transformation began, accelerated by his decision to install his entire court at Versailles in 1682. Under his guidance, the royal residence would go on of course to become one of the most famous palaces in the world – a suitably shining backdrop fit for a Sun King. Today, this UNESCO World Heritage site remains large and lavish enough to spend a whole week, if you were to see it all. However, there are a few must-see sights that can easily be ticked off the list in one day. On the ground-floor, a series of rooms feature a helpful introduction to the château’s colourful history, while upstairs the Royal Apartments have to be seen to be believed, the walls bedecked with magnificent marble and gilded gold panelling, the ceilings decorated with the most elaborate allegorical scenes, and everywhere the finest French furniture and paintings. For a chance to get off the well-trodden tourist trail, it’s also worth joining one of the special tours that take in areas not normally open to the public. The jewel in the proverbial crown, however, has to be the aforementioned Hall of Mirrors, an enchanting gallery that feels at once like stepping into a fairy tale. 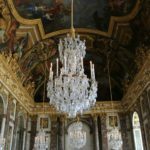 Featuring 357 mirrors in total, from a time when they were as prized as diamonds, reflected back in them are the countless crystal chandeliers, tall arched windows and extensive gardens beyond. 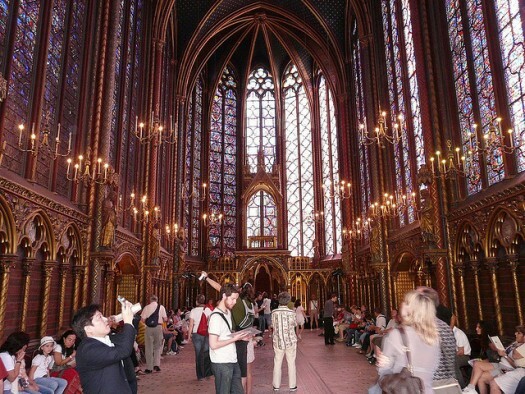 Remember to look upwards, too, where the impressive vaulted ceiling depicts the glorious history of Louis XIV through 30 painted compositions. The scene of many an important event down the centuries, not least the masked ball for the wedding of Louis XVI and Marie-Antoinette, it was also in this grand gallery that the Treaty of Versailles was signed in 1919, bringing an end to World War One. 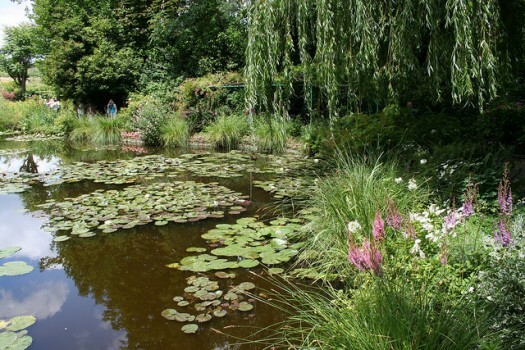 Elsewhere, it’s well worth escaping the crowds to explore some of the spectacular landscaped gardens – the largest of any in Europe – and themselves some of the most admired in the world. 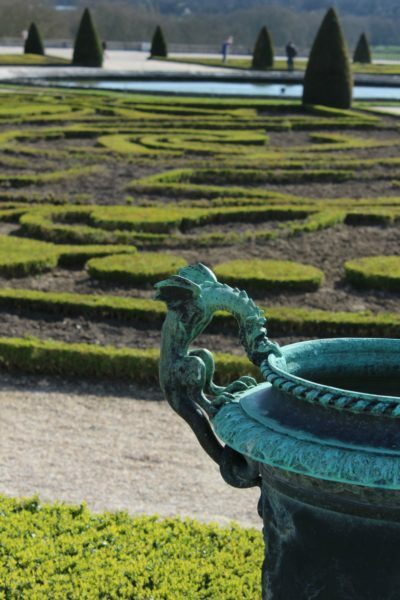 Spanning some 250 acres, the geometric paths, marble statues and famous fountains, plus fabulous floral displays, are a lesson in the art of symmetry – and an Instagrammer’s dream. During the summer months, every Saturday evening, there is the opportunity to enjoy the illuminated gardens and groves while the water features spout to the rhythm of music and fireworks cascade over the Grand Canal – where, incidentally, you can also rent a rowing boat during the daytimes. 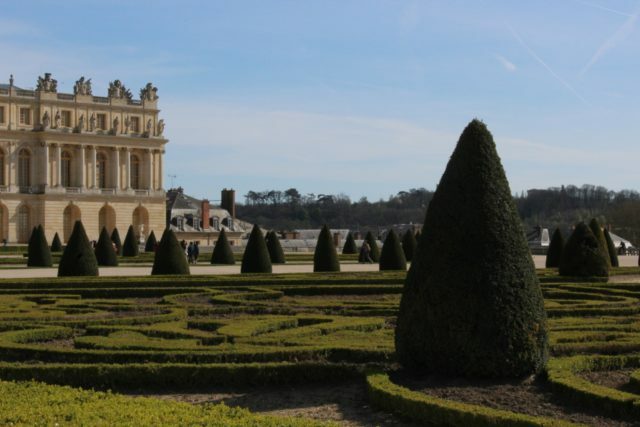 Do take time to see the fascinating (and far more intimate) buildings in the further reaches of the estate too – built by the kings of Versailles to enjoy some respite from the pomp and ceremony of life in the main palace. An architectural gem in its own right, the Grand Trianon features a central colonnaded gallery, or ‘peristyle’, opening onto the central courtyard on one side and manicured gardens on the other. Used by Louis XIV as a private residence, where he could spend time with his ‘secret’ wife, Madame de Maintenon, it was later frequented by Louis XV and his series of mistresses, including his favourite, Madame de Pompadour. 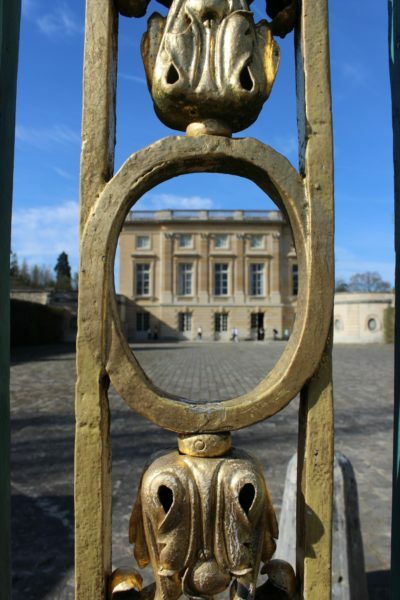 However, the Estate of Trianon is perhaps most closely associated with Queen Marie-Antoinette, who received the smaller Petit Trianon as a gift from her husband in 1774. Struggling to adapt to life at court, she regularly sought refuge at this secluded haven, where she commissioned marvellous landscaped gardens, including follies such as the Temple de l’Amour, as well as a hamlet of cottages built in the rustic style then in vogue. Ironically, though, her desire to escape the limelight also led to suspicion and rumours, and the expense of her endeavours to jealousy, and unwittingly she became an easy scapegoat for the growing sense of dissatisfaction amongst the French people. By this stage, thanks to some expensive wars, the country was now on the brink of bankruptcy, with many families facing starvation, so it’s not hard to imagine the anger felt by the poverty-stricken Parisians towards this palace of such privilege. In 1789, the French Revolution forced Louis XVI and Marie-Antoinette to leave Versailles forever and it would never again be used as a royal residence. For a while, the future of the Sun King’s palace hung in the balance, but thankfully, in 1837, King Louis-Philippe decreed that it should be turned into a museum dedicated to the history of France. Mainly consisting of paintings and sculpture, additions were made to the collections right up until the beginning of the 20th century. It was at this time that the decision was taken to restore the central part of the palace to its former glory during the Ancien Régime, to recreate those days of such splendour, while continuing the museum in parallel. 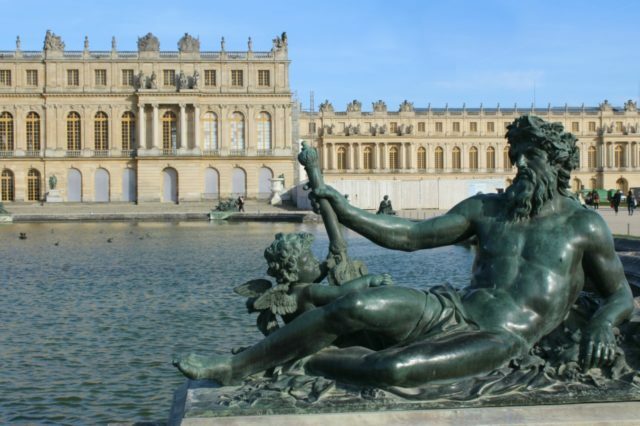 Thus was born Versailles as we know it today – with the chance to get a fascinating glimpse into life at one of the most beautiful palaces in the world. In summary then, a day out at this internationally-renowned attraction comes highly recommended – and, happily for all concerned, it’s also a far safer place to visit today than the era depicted in the hit TV show! Getting there: Take the train on RER Line C to Versailles Rive Gauche (the closest) or otherwise the SNCF to Versailles Chantiers or Versailles Rive Droite. Opening times: The palace is open every day except Mondays (and May 1) from 9am to 6.30pm, but the Estate of Trianon and the Coach Gallery are only open in the afternoon. The park and gardens are open every day with free access (except during special events). Admission: Standard palace ticket: Adults, €18; concessions €13 (though there are several other ticket options too with varying degrees of access). Top tip: To avoid the queues at the palace ticket desks, buy your tickets from the online ticket office (though you may still have to queue to get in to the palace on busy days). Alternatively, with a Paris Pass, you can visit free of charge (excludes special events such as the musical fountain shows). In any event, get there early to avoid the throng and go on a weekday if you can. Situated in the heart of the palace gardens, Brasserie de la Girandole is tucked away in the shaded terrace of the Girandole Grove. Offering reasonably-priced salads, pizzas, crêpes and more, it’s one of several places to dine around the palace, but this one is our favourite for its lovely location. Just a stone’s throw from the palace, La Cour is tucked away in a beautiful little courtyard next to the market. So small that you absolutely need to book, it’s well worth it for the warm welcome, tasty cuisine and cute terrace tables. Sunday brunch also comes highly recommended. For Michelin-star cuisine, head to La Table du 11 where young chef Jean-Baptiste Lavergne-Morazzani cooks up a storm using the best seasonal produce. Newly installed at La Cour des Senteurs, they are now closer to the palace, with more space and a dedicated pastry kitchen. Inspired by the royal court at Versailles, the delicious delicacies found here are based on original creations made for Louis XIV. Taken straight from the recipe book of royal taste-maker François Pierre de La Varenne, look out for the mille-feuilles, meringues and chestnuts, among other tasty treasures. Centred around an ancient square, which dates back even earlier than the palace, this traditional market is well worth a visit. Head to the historic halls for a tasty treat (pick up some wine, cheese and a fresh baguette and go to the gardens for a unforgettable picnic) or visit the wider market stalls for other trinkets. Okay, not strictly speaking a shop, but a must for a tipple and tapas, this charming wine bar is set on a lovely paved street. Stocking fine wines from all over the world, but still offering very much an authentic French experience, they also host concerts at the weekend. Situated in the historic quarter of Saint-Louis, this three-star boutique hotel is located in a private mansion built by Louis XV in 1727 for Sieur Louis Delalande, the noble charged with tending to the king’s tableware. Today, they offer a warm welcome, bags of character and a peaceful garden, just a three-minute walk from the palace. Nestled among verdant trees in a beautiful waterside location, this four-star hotel offers a haven of peace just a 15-minute drive from the palace. There’s also a Michelin-star restaurant, Le Corot, plus the equally popular Le Café des Artistes, located downstairs in the picturesque, vaulted cellars, as well as the lovely Caudalie Spa. Overlooking centuries-old trees and rolling parkland, this luxurious retreat is within walking distance of the palace. Complete the regal experience at the Michelin-starred Gordon Ramsay au Trianon or enjoy an evening meal on the terrace of the brasserie, La Véranda by Gordon Ramsay, with great views. The expansive Guerlain Spa is also world-renowned.